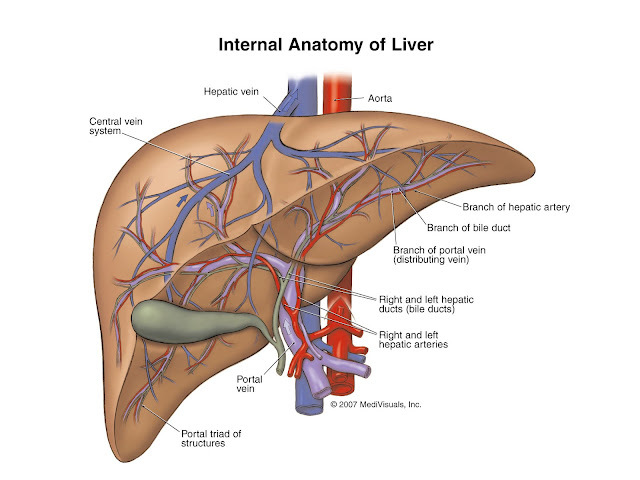 Liver cancer is the third leading cancer killer in the world. Researchers are looking into regulatory molecules called microRNA as a link to this deadly disease. MicroRNAs (miRNAs) are endogenously encoded RNAs that regulate the stability or translation of mRNA molecules. Messenger RNA (mRNA) is a molecule of RNA that encodes a chemical "blueprint" for a protein product. Study shows that the loss of microRNA-122 leads to liver cancer. Developing a drug that targets and restores microRNA-122 may offer a new way to treat liver cancer. A new study shows that loss of a small RNA molecule in liver cells might cause liver cancer and that restoring the molecule might slow tumor growth and offer a new way to treat the disease. The animal study was led by researchers at the Ohio State University Comprehensive Cancer Center – Arthur G. James Cancer Hospital and Richard J. Solove Research Institute (OSUCCC – James). The scientists examined what happens when liver cells lack a molecule called microRNA-122 (miR-122). They found that when the molecule is missing, the liver develops fat deposits, inflammation and tumors that resemble hepatocellular carcinoma (HCC), the most common form of liver cancer. When the researchers artificially restored miR-122 to nearly normal levels by delivering the miR-122 gene into liver cells, it dramatically reduced the size and number of tumors, with tumors making up 8 percent on average of liver surface area in treated animals versus 40 percent in control animals. "These findings reveal that miR-122 has a critical tumor-suppressor role in the healthy liver, and they highlight the possible therapeutic value of miR-122 replacement for some patients with liver cancer," says study leader Dr. Kalpana Ghoshal, associate professor of pathology and a member of the OSUCCC – James Experimental Therapeutics Program. More than 28,700 new cases of HCC are expected in the United States in 2012, and 20,550 Americans are expected to die of the malignancy. Major risk factors for HCC include hepatitis B and C virus infection and liver damage due to alcohol use. HCC is curable if caught early, but most cases are diagnosed at a late, incurable stage. MiR-122 is found mainly in liver cells – it is the most abundant microRNA in those cells – and it plays a major role in regulating cholesterol in the body. This microRNA is lost in some people with HCC, however, resulting in a poor prognosis. For this study, Ghoshal and her colleagues developed a strain of mice that lacks miR-122 and develops HCC through the progression of events that begins with fatty liver deposits followed by inflammation and liver cancer. The researchers then used a second strain of mice that spontaneously develops liver cancer due to overexpression of a cancer-causing gene called MYC (pronounced "mick"). The researchers delivered miR-122 into the animals' livers during tumor development. Three weeks later, those treated with the molecule had smaller and fewer tumors. "The model we developed for these studies will not only facilitate our understanding of liver biology, but it will also be good for testing therapeutic efficacy of newly developed drugs against liver disease, including HCC," Ghoshal says. Ghoshal also notes that research by others has shown that hepatitis C virus requires miR-122 for replication. "Because our findings demonstrate what happens when miR-122 is lost in liver cells, they might help improve the safety of new drugs that treat hepatitis C virus infection by blocking miR-122," she says.